I’m not kidding. I found this little tastebud tickler over on A Beautiful Mess – a site that is fast becoming a firm favourite and a quick read of their posts a daily necessity. The recipe itself is really simple and easy to follow and the end result is delicious. I made a few tweaks so instead of coconut milk I used skimmed milk and skipped the cream. I didn’t have walnuts to hand so swapped in pecans and my brown sugar is earmarked for other things so I used a spoonful of honey to sweeten. 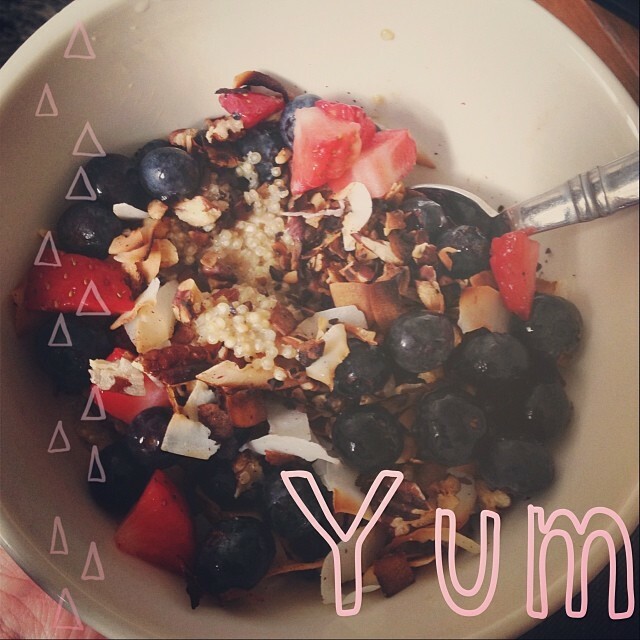 It’s yummy with blueberries and strawberries on top too!